PARIS, September 7th, 2015 – Motion Equity Partners, an independent mid-market European private equity firm, announced today that Tokheim has entered into an agreement with a subsidiary of Dover Corporation, pursuant to which Dover has made a binding offer to acquire Tokheim’s Dispenser and System businesses (the “Tokheim Businesses”). Tokheim’s Sales, Service, and Distribution business is not part of this transaction and would become a stand-alone company remaining with its current majority shareholder Motion Equity Partners alongside strategic investor Bpifrance. The transaction is subject to completion of information and consultation with certain of Tokheim’s employee representatives, certain regulatory filings and other customary conditions, and is expected to close in the first quarter of 2016. 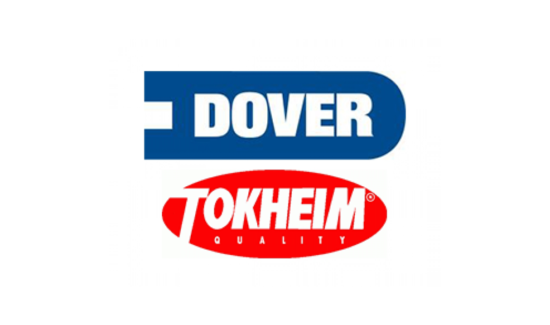 Under the terms of the offer, Dover would pay €425 million in Enterprise Value for the Tokheim Businesses. Headquartered in Paris, France, Tokheim is a global manufacturer of fuel dispensing and automation equipment, including a complete range of fuel dispensers and pumps, retail automation systems, payment terminals, media devices, as well as the leading Sales and Service organization in the fuel retail industry. Dover is a diversified global manufacturer delivering innovative equipment and components, specialty systems and support services through four major operating segments: Energy, Engineered Systems, Fluids, and Refrigeration & Food Equipment. The Tokheim Businesses would become part of OPW, a business unit within Dover’s Fluids segment, making it a leading global retail fueling systems provider, with unrivalled product breadth. “We are excited about the strategic fit of Tokheim’s Dispenser and System businesses within Dover’s OPW business, as well as how a strong partnership with the merged entity will enhance the growth of our remaining Sales and Service businesses” said Baudouin de la Tour, CEO of Tokheim. “We strongly believe both our customers and employees will greatly benefit from this unique ability to provide full solutions on a global scale”. Tokheim is one of the world’s largest providers of fuel retailing solutions. The company designs and manufactures fuel dispensers, payment systems, and other automated solutions, as well as a range of services dedicated to service stations and private fleet operators, covering installation, maintenance and project management. With a direct presence in over de 41,000 stations worldwide, Tokheim is the market leader in Europe, leader in Africa, and highly active in emerging markets where the Group has rapidly expanded. The Group is has strong positions in the Middle-East and in China, and has strong growth prospects in India and Latin America, two promising markets recently penetrated. Bpifrance is the French public investment bank which finances businesses from the seed phase to transfer to stock exchange listing, through loans, guarantees and equity. Equally owned by the French State and Caisse des Dépôts, Bpifrance serves entrepreneurs to boost economic competitiveness and accompanies firms developing export activities and provides support to their innovation projects.